How Big Are Location Services for Mobile Marketing? For digital marketing, location services are big. And they are still becoming a lot bigger, a lot faster. 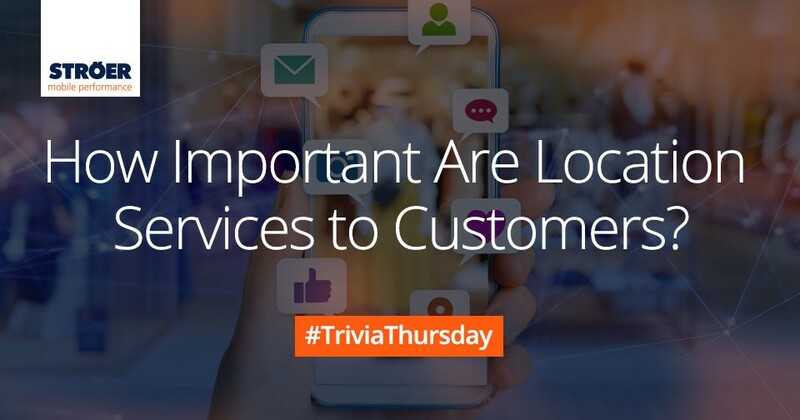 In this part of our Trivia Thursday series, let’s cut straight to the chase: Location based services are really important to meet the expectations and reach customers not only where they are geographically, but also in their behavior and disposition. Here are some of the facts: In a study from 2015, 83 per cent of US customers explained that location services were “crucial” to their mobile experience (in a piece of research conducted by Skyhook Wireless). The acceptance of location services has since kept growing strongly. The acceptance rate of location based services was registered at 90 per cent in 2016. Another episode of Trivia Thursday: How Many Germans Shop On-Line? Local is becoming bigger and bigger everywhere. A recent Business of Apps story pointed to the growing importance of geo-fencing to drive local business. The story builds on a report by simpli.fi which found a 54 per cent growth of businesses using geo-fencing from 2017 to 2018. Here’s an interesting read: Predictions by Fabio Belloni from Quupa about real-time location services in 2019, featured in The Fast Mode. Have you met our new employee Bruno Lucas? Check out his interview here!